'Where there is a will, there is a way' - or so the saying goes. This adage can be applied quite well to the production of methamphetamine. 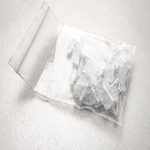 A number of government crackdowns made it more difficult for meth cooks to get their hands on large quantities of pseudoephedrine, the active ingredient of Sudafed ® that is essential to meth production. This resulted in meth production moving south of the border; where Mexican cartels developed “super labs” in order to feed the huge demand for the drug here in the United States. In fact, the majority of all the methamphetamine used in America now originates in Mexico. While government efforts made it harder to produce meth here in America, there are a number of cooks who have found a way to circumvent the laws which has led to a rise in meth lab related injuries, HealthDay reports. Between 2001 and 2012, 162 people were injured in meth lab accidents. The findings come from a Center for Disease Control and Prevention (CDC) study of five states. Limiting the amount of pseudoephedrine that could be purchased at one time and making the drug only available at the pharmacy requiring buyers to give their name, resulted in a reduction of meth lab related injuries - for a time, according to the article. In 2008, meth cooks found a way around such deterrents by purchasing small amounts of the drug at multiple locations and using fake names. The rise in injuries can also be linked to the dangerous “shake and bake” method of producing the drug. "This method involves shaking smaller amounts of precursor chemicals in a two-liter [half-gallon] plastic bottle, which frequently bursts, causing burns and environmental contamination," reported CDC lead investigator Dr. Natalia Melnikova. The researchers write in the CDC’s Morbidity and Mortality Weekly Report.